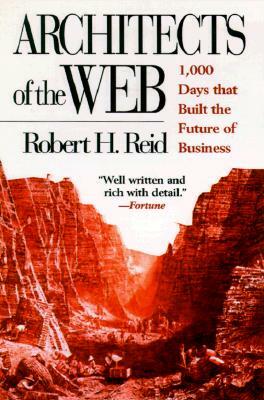 "A terrific book that captures the explosion of creativity and business evolution at the center of the Internet phenomenon. A tantalizing mix of diverse players with utopian visions, animated by equal parts aggression and delight. A true saga of our time. "-James F. Moore author, The Death of Competition; Chairman, Geo Partners Research Inc.
Before writing this book, ROBERT REID worked at Silicon Graphics (SGI), a $2 billion maker of supercomputers, workstations, and servers. There, he managed his company's relationship with Netscape (which was cofounded by SGI's own founder, Jim Clark). He now works at Twenty-Firs t Century Internet, a venture capital fund headquartered in San Francisco. Mr. Reid is a graduate of Stanford University, holds an MBA from Harvard University, and lives in Mountain View, California.